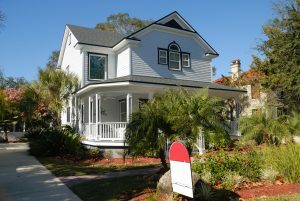 Selling an inherited home can be one of the most difficult situations for both realtor and seller. It can be an overwhelming experience, filled with emotion and lots of questions. It’s important to remember that each situation is unique, but regardless of the individual situation there are certain ways you can plan. This is not a task you want to take on alone, and in addition, you want to work with people who are skilled in this area. This will include a real estate agent, estate lawyer and potentially a tax specialist. Lawyers and tax specialists can help with important information such as how it will affect the estate and the tax implications the heir may face due to the sale. A real estate agent can also provide counsel on an appropriate listing price to match market value. If the heir happens to live out of town, a real estate agent can offer direction to competent inspectors to complete the appraisal, as well as other professionals to assist in the home selling process. It’s not uncommon for the interior of an inherited property to be outdated. Staging and making cosmetic improvements can really make a difference in these situations. If you’re not sure staging is necessary, ask your real estate agent. They have a good pulse on similar homes on the market, when you may not. They may also suggest making home design improvements such as repainting rooms and/or landscaping. Other points to consider are landscaping and the exterior of the home. Even if the inside is top-notch, don’t make getting them through the front door a challenge. ← Should Home Equity Be Used In Retirement Planning?